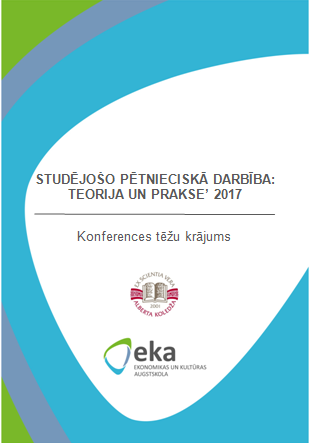 Colleges, undergraduate, master and doctoral students from Latvia and other countries are welcome to participate in conference. Collection of students scientific research papers consists of the EKA University of Applied Sciences (EKA) and Alberta College (AC) students and graduates′ state exam work fragments as well as articles submitted for the Students International Scientific Practical Conference. The articles provide results of research in the fields of economics, finance, accountancy, management, linguistics, public relations, marketing, information and communication technologies, law etc.